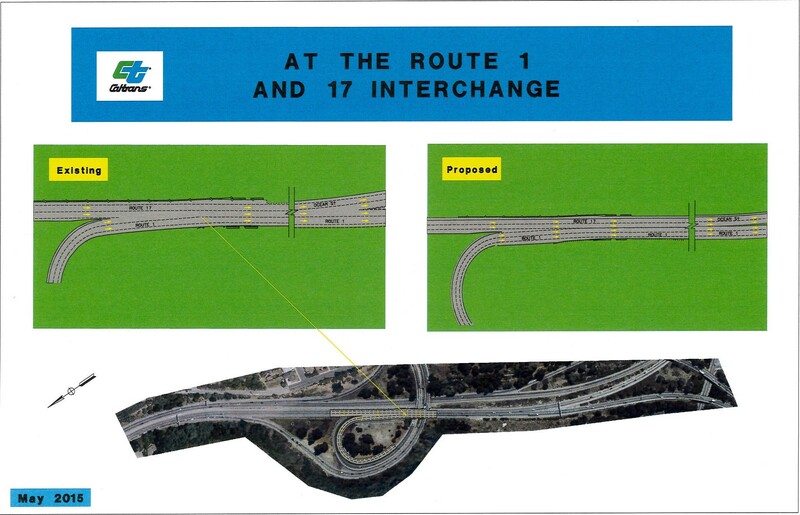 The project proposes to widen southbound (SB) State Route 17 (SR-17) from 3 lanes to 4 lanes, eliminating the forced merge of vehicles from SR-1 NB#1 lane with SR-17 SB #2 lane. 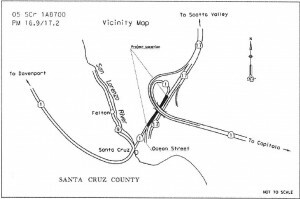 Shoulders will be widened on SR-17, both north and south of the 1/17 separation. Concrete barrier will be installed, drainage improved, and highway lighting relocated. 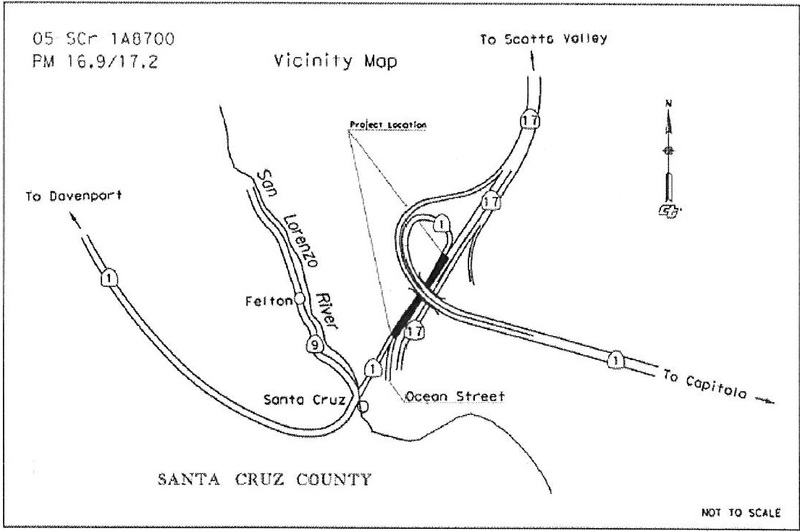 Sideswipe and rear-end collisions are occurring at merging locations at each end of this highway segment. The accident rate at this location is currently twice the statewide average for similar facilities.